Casual, comfortable attire is recommended for speakers and attendees. In September, the weather typically ranges from the 80s during the day to mid 60s at night (Fahrenheit). You may wish to bring a light jacket or sweater for the evenings or varying temperatures in the hotel. Registrations cancelled after Monday, September 9, 2013, are subject to a 20% cancellation fee. No cancellations or refunds may be made after Monday, September 16, 2013. Substitutions may be made at any time before the first day of the program. Seating is limited in tutorials, so please reserve your seat early. As we get closer to the conference, some tutorials may be full. In this case you will receive an email asking you to make another selection. All tutorial selections must be made by Friday, September 27, 2013. 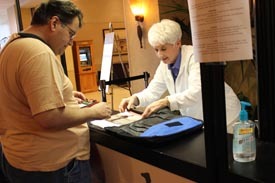 The Wednesday and Thursday concurrent sessions do not require reservations. You may enter or leave any session at any time, space permitting. Take advantage of the conference rate at the Disneyland Hotel in Anaheim, by booking your stay online or by calling 800.243.5732. 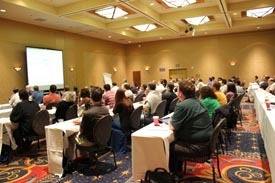 Be sure to mention STARWEST to secure our special conference room rate.